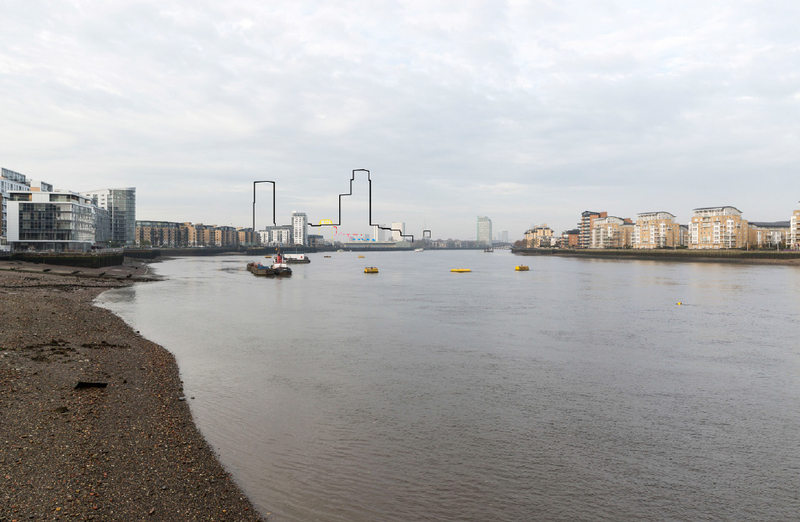 A planning application for redevelopment of 'The Wharves' - the land bounded by Grove Street, Dragoon Road, Evelyn St and Oxestalls Rd - was submitted last month and documents are now available online (search here for reference 92295 but beware there are 454 documents, some extremely large and the system seems to fall over now and again). 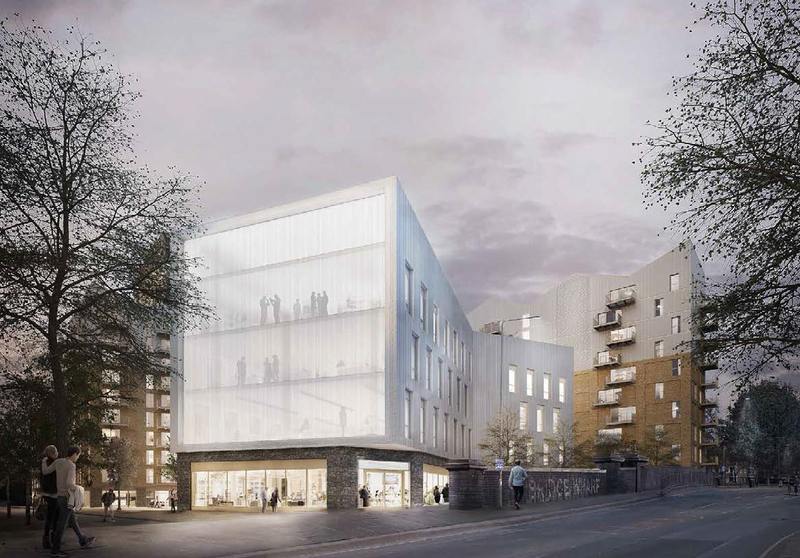 The applicant Lend Lease has provided smaller versions of some of the documents on its website with a carefully-chosen range of visualisations, but for the full story and detail, you will of course have to suffer the grim trawl through the documents yourself. 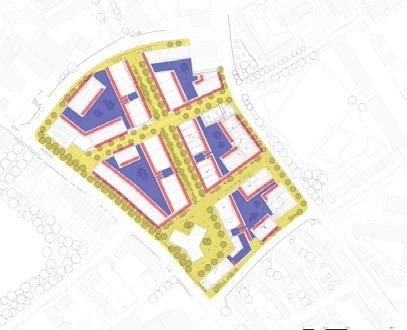 As you may recall, outline planning permission for the site was granted back in 2011 - I'd written about the original plans with some enthusiasm (by my standards at least!) considering the plans to reinstate the route of the Surrey Canal as a water feature, the retention of the Victoria pub and the mix of uses on the site, with a new facility being built for tenant Ascot Cabs to retain a relatively large-scale business and employment centre. Scroll forward a few years - Ascot Cabs presumably got bored of waiting for the developer to get moving on the project, and decided to decamp elsewhere - and new owner Land Lease began consultation on a new application. Despite the touchy-feely marketing schmooze I was not impressed by their revised plans. Increased housing density, higher blocks, potentially triple the parking spaces and the loss of the water feature and the Victoria pub. 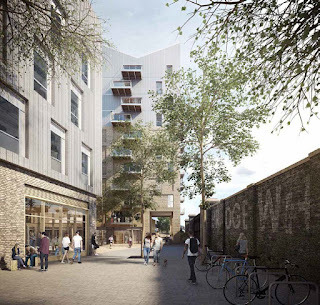 There was another period of 'consultation' and presumably additional negotiation and meetings with Lewisham's planners, and I have to admit to being - while I won't go as far as pleasantly surprised - unexpectedly relieved at the final outcome. Of course I know damn well that the only reason they ramped the towers up to 30 storeys in the interim period was so that when they brought them back down to 24 storeys, in our relief we'd forget all about the fact that they were originally a maximum of 18 storeys. Nevertheless they've still managed to shoehorn another couple of hundred dwellings (now 1,132) onto the site, by a combination of the two tallest towers having six extra stories dumped on top, and by playing around with the heights of the blocks on the rest of the site. It's not all up though, the lowest buildings have been reduced to three storeys rather than four. 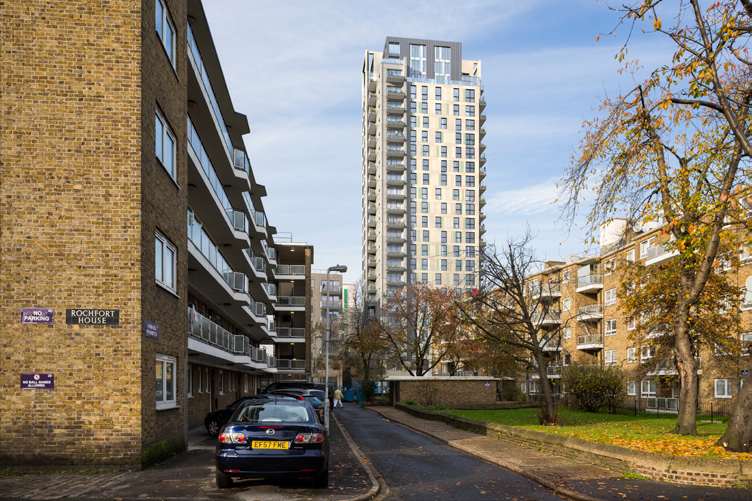 I always have to allow myself a wry smile when I read the blurb that justifies the increase in height of residential blocks (aside from the obvious reason, being to make more money). 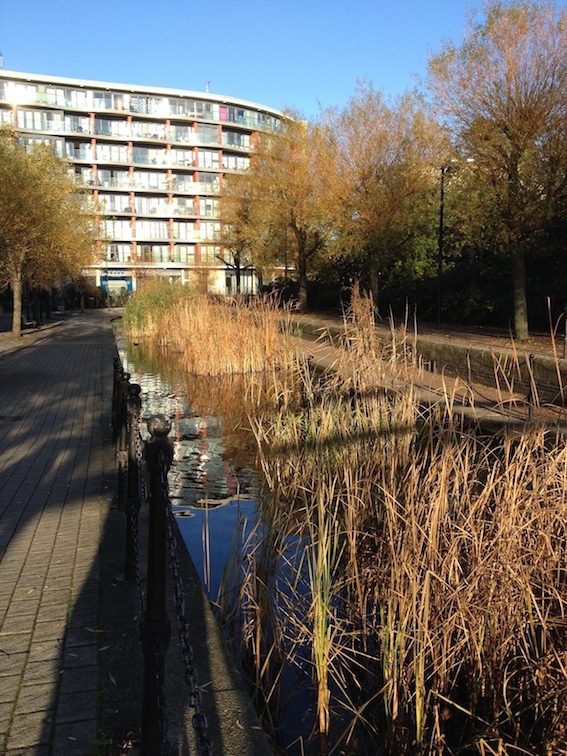 "The significance of the Surrey Canal Way is marked by raising the massing of some of the buildings along its length. The location of these buildings has been chosen to allow the greatest amount of light into the public space of the Surrey Canal Way, and so these are predominantly on the east side of the space. 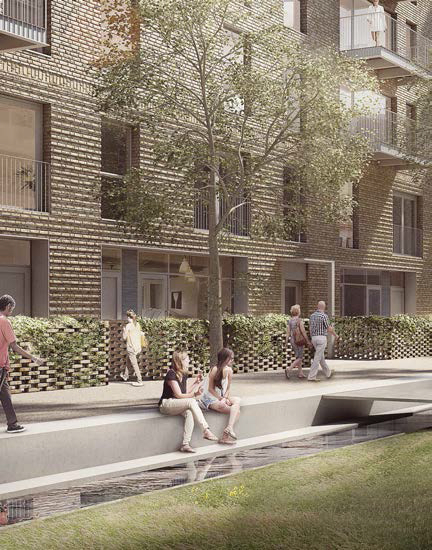 The diversity of building height adds character and interest to the long elevation of the canal, whilst marking it as an important space and route." Like any casual observer at ground level would either (1) notice that these blocks were several floors higher or (2) equate that to a situation in which they consider the route to be more significantly marked with buildings of 12 storeys than of 7 storeys. 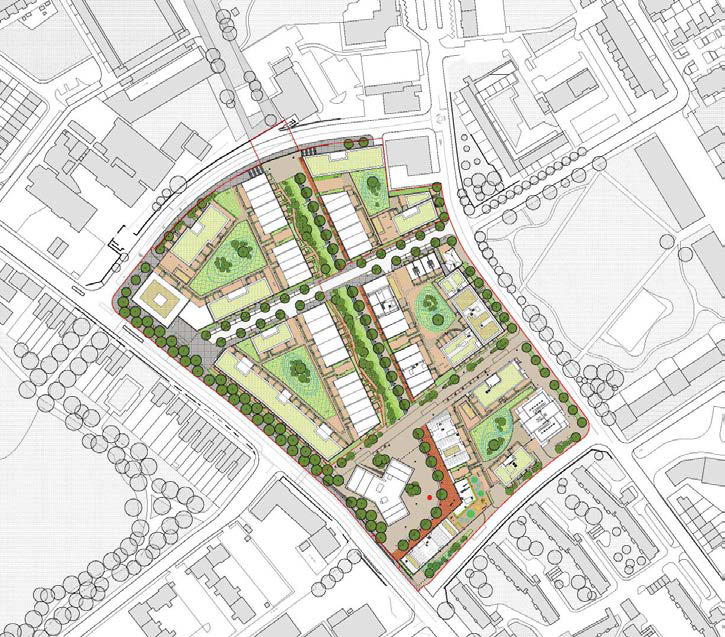 The application that has been submitted is a 'hybrid' application - as well as covering the outline planning permission for the whole site, it includes detailed design for the first two phases. This is reassuring as it suggests that the work will actually get going when/if permission is granted rather than continuing to lie derelict. 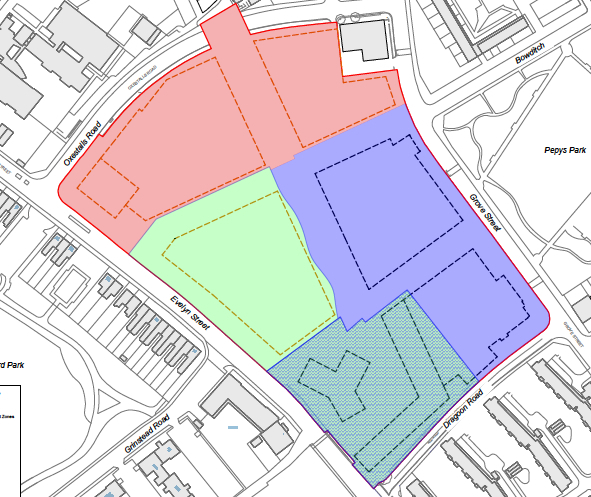 The first phases will be the side facing Grove Street (purple on the plan) and the corner of Evelyn St/Dragoon Way (hatched green). 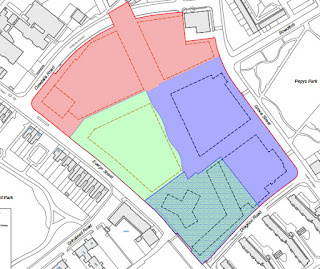 The light green area is the second phase and the red area will not be developed until they have actually managed to buy the land off the current owners! The other bits of the application that I was happy to see had been reinstated were the intention to retain the Victoria pub on Grove Street - reportedly in a parlous state but still worth saving in my opinion - and the reinstatement of a water feature along the route of the old Surrey Canal. The pub - which in the scheme that gained planning permission was set to be retained and restored - was potentially going to be demolished by Lend Lease. But it's now being retained and is intended to be brought back into use as a pub. 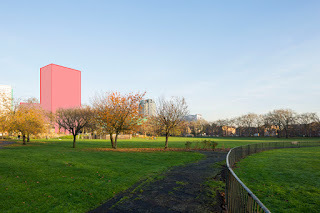 The water feature had been included in the original scheme but Lend Lease had wanted to ditch it in favour of a 'linear park' (grass, some bushes and seats) claiming all sorts of silly things about unsuitability, danger to children etc etc. 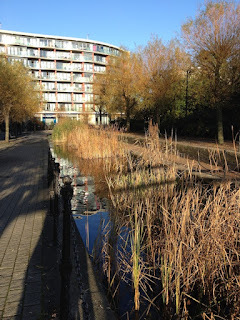 One of my favourite bike rides is through Surrey Quays and along the route of the old canal, which has been restored as a shallow water feature with bridges, nesting platforms for water birds, and reeds. 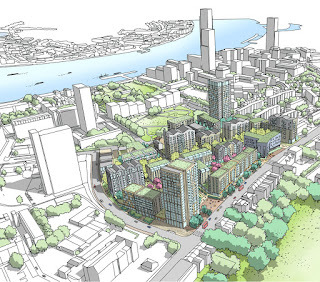 I had hoped that Deptford might get something along similar lines. I'm happy that a water feature has been restored, although it's more footbath than canal, but will still offer some kind of memory of the original purpose of the alignment. Another change that makes sense is that the building adjacent to the old canal bridge on Evelyn Street has been repositioned and its footprint changed from a linear block to a 'y' shape. I continue to hold out hope that some day, the route under the canal bridge on Evelyn Street could be restored as a cycle and pedestrian link, which would make utter sense and provide a safe and easy link across this busy road. 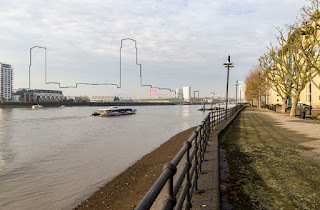 With the pedestrian link set to be restored under the Oxestalls Road bridge, this route could make the site properly permeable and would also provide excellent walking and cycling connections towards Canada Water and in the opposite direction to Deptford, New Cross and Surrey Canal Road. 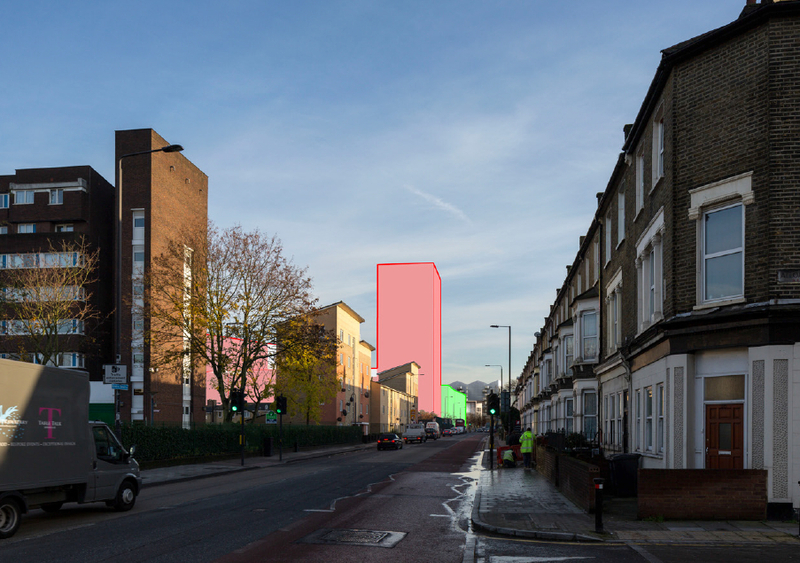 As is the norm with developers renderings, they don't tend to show neighbouring properties in any great detail, if at all, since they want to eliminate any real idea of scale. On the picture above you can just about see the two/three-storey houses along the east edge of Pepys Park on Leeway on the bottom left if you click to enlarge the picture. As usual the plans also make the development look very green - but although there's a lot of green space shown, the vast majority of this is provided as 'semi-private' space. That means podium parks built at second or third floor level on top of the private residents parking, and only accessible to residents. At street level you'll be looking at buildings. 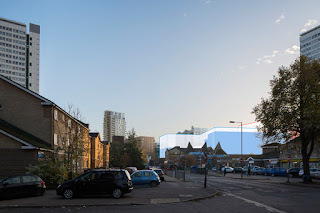 If you want to know how it's going to impact on the surrounding views, I've picked out a few of the images that the developer is obliged to create, but that tend to get buried among the planning documents. They have to represent not only their own development, but also any others nearby that are being taken forward (in this case, the most obvious is Convoys Wharf, which is shown on the some of the river views). Overall I will be happy to see this plot of land being developed - for years it has been the site of some quite heavy industrial stuff, not necessarily a bad thing per se, but many of the breaker yards were appalling neighbours and caused ongoing problems with parking, traffic and danger to pedestrians on Grove Street, not to mention the noise, dust and pollution. It's a shame the other more responsible employers no longer remain although presumably the developer expects them to be replaced by retail jobs, offices etc. 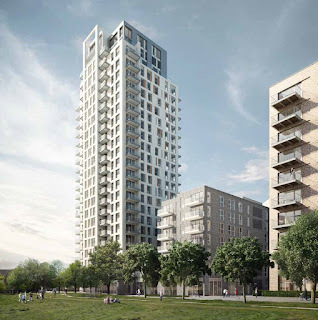 As with so many developments now, the biggest scandal is the very poor ratio of anything approaching 'affordable' housing, not to mention the 'viability' conditions that underwrite everything that's proposed by the developer. 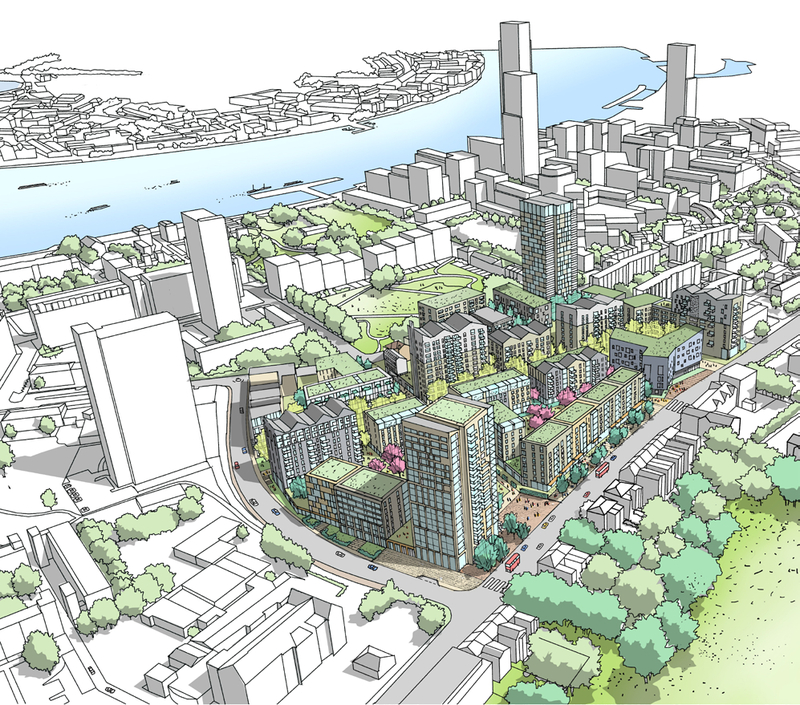 In this case the developer is proposing up to 237 units, which is about 21% - while this might be better than other developments nearby, such as Convoys Wharf, there's still time for it to be revised downwards over the period of the work, as it's all conditional on the 'subject to viability' clause. Developer submits a confidential viability report which almost inevitably claims that it 'can't afford' to provide the target number on this site. Developer proposes a lower number of units. Council generally has to agree. This excellent article by Oliver Wainwright in the Guardian last week takes a look at the arguments that developers use to back up their case - in figures that are rarely seen by anyone except council officers and those councillors who sit on planning committees (and not always the latter). 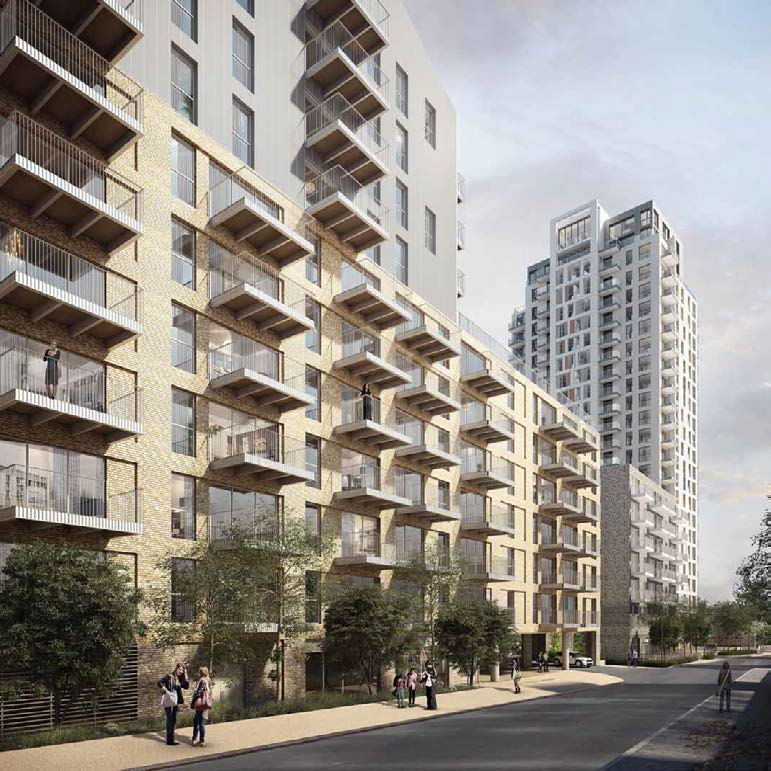 It's in the developers' interest to make a generous estimation of their costs, while being cautious on the sale value of the properties (or omitting to account for rising sale values over the period of the build, which could be up to 10 years or more). The figures often build in a healthy profit margin for the developer of up to 25%. As Wainwright points out, these are all perfectly legal. In some cases the viability figures are challenged - not always by the councils, sometimes it's left to pressure groups or individuals to do so - and after a number of high-profile cases it seems that councils are now starting to investigate ways in which they can force developers to increase the percentage of 'affordable' units they include. You don't have to read far into the article to see a familiar name - Lend Lease, the developer of the Wharves, is also behind the Heygate estate's transformation into 'Elephant Park'. 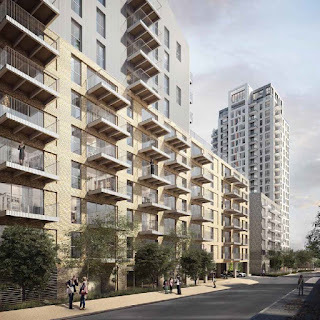 While much of the sorry story relating to Heygate seems to be down to the council's ineptitude/lack of due diligence, the article examines whether the figures in the developer's viability statement stack up to anything of substance. 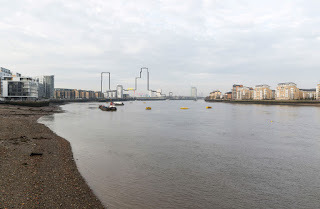 It makes an interesting read, not least in the context of the potential for the Wharves. Nice to see the area getting some much needed smartening up. Schools in the area are already at capacity. Do you know if this scheme increases provision of places, either directly or via s106? No school is proposed on the site as far as I can see - of course there is a new school proposed just across the road on the Convoys Wharf site, although that could be several years away yet at the rate the developer of Convoys is going. This developer will also have to contribute via the S106 agreement. 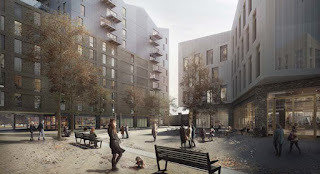 Went past it yesterday and the development is a million times nicer than the hideous estates now, they should demolish all those estates and start again, with mixed communities instead of the slum-like environment now. More ugly overcrowded tower blocks. This type of development will turn into the usual buy to let ghetto like everywhere else.